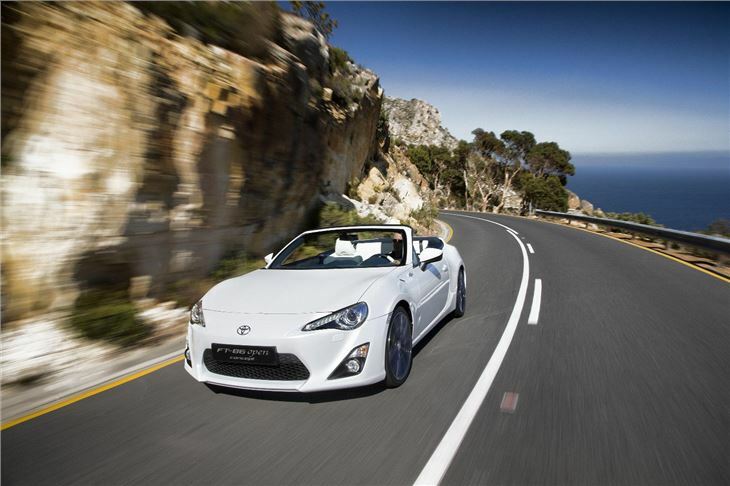 Toyota is to show an open-topped version of its GT86 sports car at the 2013 Geneva Motor Show. 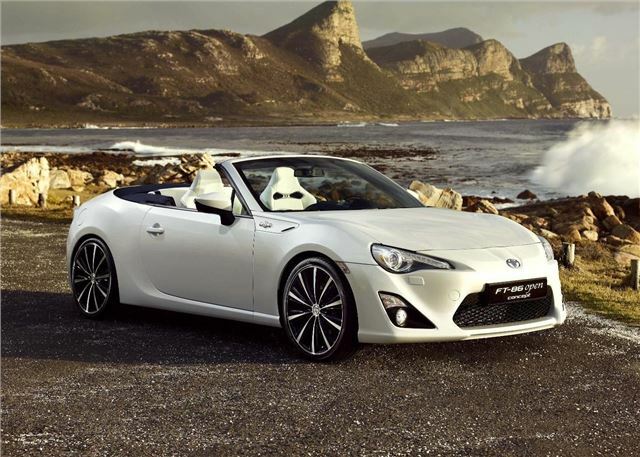 It’s called the FT-86 Open and is billed as a concept car, but it’s not just a flight of fantasy – Toyota is using it to gauge customer feedback, and may put it into production in the future. 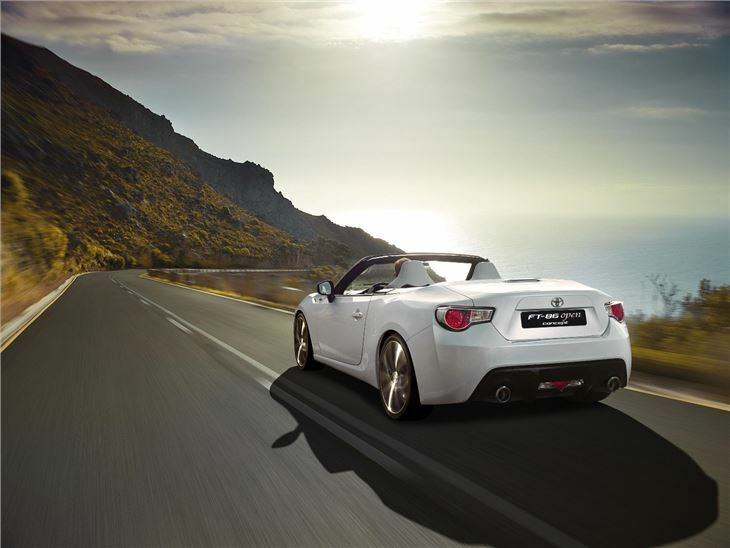 It’s the same size as the GT86 hard-top, with the same 2+2 seating arrangement, but has a folding roof which fits behind the rear seats. The engine is the same 1998cc boxer. Indeed most of the details are the same as they are in the hard-top, and structural rigidity hasn’t been massively compromised by the changes. Toyota says that – if it progresses with the project – the engineers will work hard to keep the production car “Weight-neutral,” or balanced and poised in bends. Toyota is also premiering the Auris Touring Sports estate at the Geneva Show. You can read more about it by clicking here.